Fleet Moss Tarn is a small tarn on the edge of Fleet Moss, a particularly wet and boggy area to the east of the Oughtershaw to Hawes road. 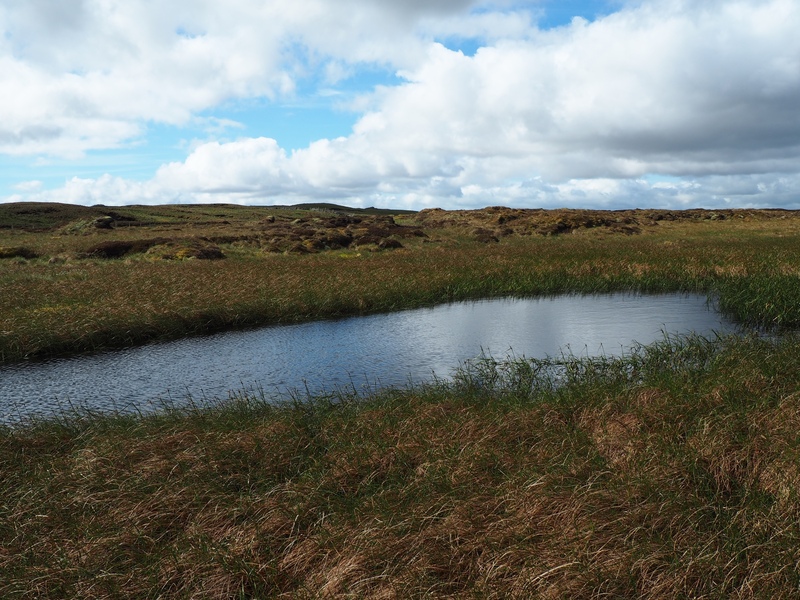 Despite being less than a mile from the parking area on the road summit it is a tarn that has few visitors, as seen by the fact that as of February 2016 the only pictures of Fleet Moss Tarn on Google Images are mine! 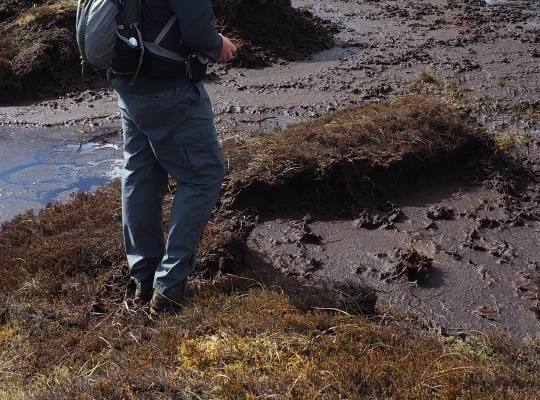 It is perhaps not surprising the tarn has so few visitors, the morass of Fleet Moss holds little appeal for most sane people. Fleet Moss Tarn was the first of no less than six tarns I visited with a couple of friends on a long walk from Marsett over Woldside and Yockenthwaite Moor. We did the walk after a dry spell, to attempt such a walk on your own after long periods of rain would be inviting a soggy end. Although not particularly large on the map it seems to be even smaller in reality. 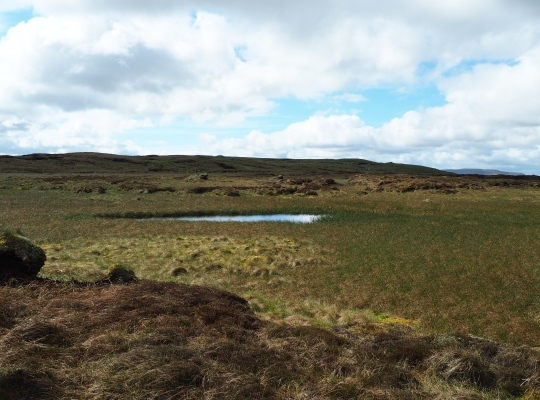 Judging by the changing colour in the surrounding vegetation I got the impression that hat is left is merely the remainder of a much larger tarn that once stood on the same spot.